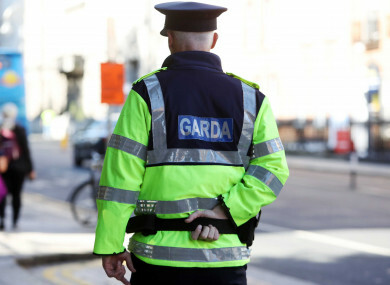 A NEW SURVEY commissioned by An Garda Síochána has found that people’s perception of national crime has remained relatively unchanged over the past year. The Garda Public Attitudes Survey for Q1 2018 (January to March), which is conducted by Amarach Research, found that 74% of respondents perceived national crime to be either a very serious or serious problem, the same percentage as the same period in 2017. In the first three months of this year, 27% of respondents said they considered national crime to be a very serious problem, while 47% said they considered it a serious problem. In contrast, in the first three months of 2017, 25% of respondents said they considered national crime to be a very serious problem, while 49% said they considered it a serious problem. Between Q1 2017 and Q1 2018, the proportion of respondents who considered crime a very serious or serious problem locally has fluctuated between 72% and 76%. The number of people saying they were victims of crime has fallen from 6.9% in the first three months of 2017 to 5.2% in the first three months of this year. According to the survey, 64% of people said that fear of crime has no impact on their quality of life. Of those respondents who did worry about becoming a victim of crime, 3% worried about becoming a victim of personal injury, 9% worried about property theft or damage, and 42% worried about becoming a victim of both. Overall, 81% of respondents in Q1 2018 said they were either very satisfied or satisfied with the service provided by An Garda Síochána to local communities. The public’s trust in the organisation remained at 88%. However, 35% agreed that community relations with the police were poor, and 38% of respondents agreed that the gardaí are not dealing with things that matter to people in the local community. Between January and March, just 37% of respondents said they were aware of Garda patrols in their local area. This has gone up just 1% since the same period last year. Meanwhile, 39% of respondents considered Garda presence in their local area to be at about the right level. The Public Attitudes Survey is one of a number of tools used by Garda management to determine future organisational and operational activity. Commenting on the survey findings, Deputy Commission John Twomey said: “The high level of satisfaction with the service provided to local communities is a tribute to the dedication of Garda members and staff. Email “Three-quarters of people still think national crime is a serious problem”. Feedback on “Three-quarters of people still think national crime is a serious problem”.